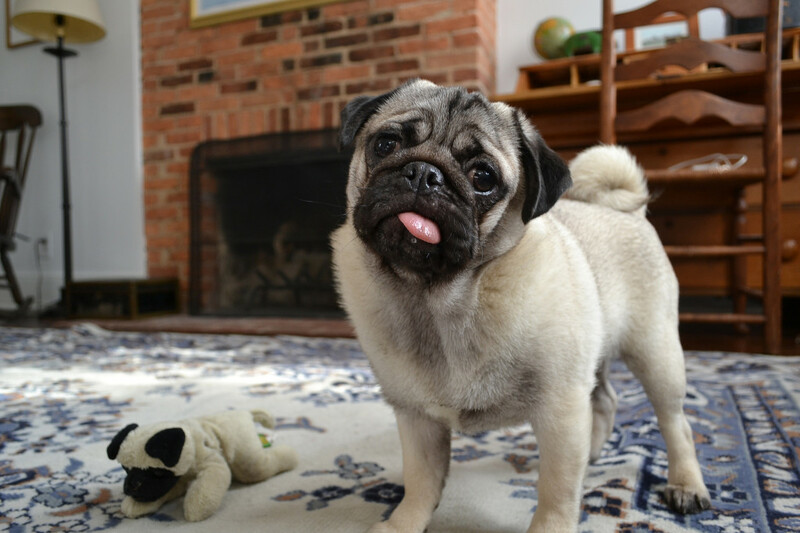 Pugs love playtime, and they know exactly how to get you to stop absolutely everything you’re doing and spend some time playing. After all, who could say no to a pleading gaze like this one? Who doesn’t love getting a cool new toy? 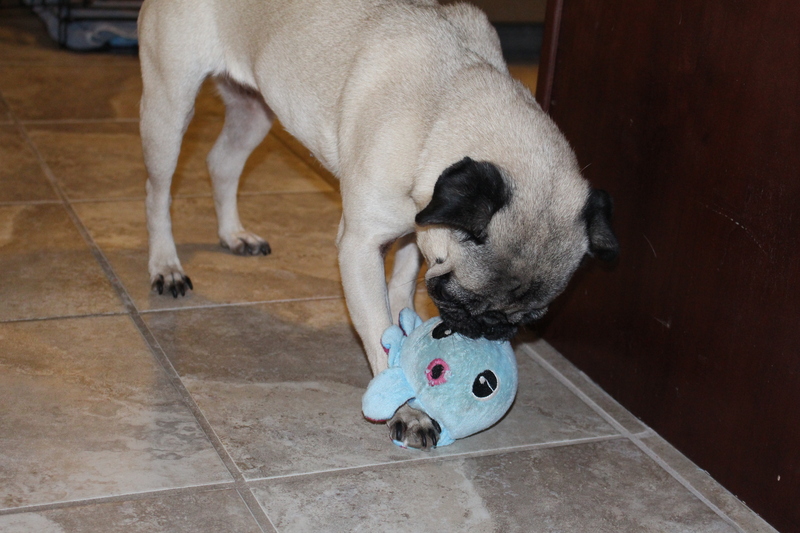 Our pug Nickie is delighted to spend her Friday morning playing with her new favorite thing. Alright, we’ll admit it. We had just as much fun playing with this bizarre springy elephant toy as she did. 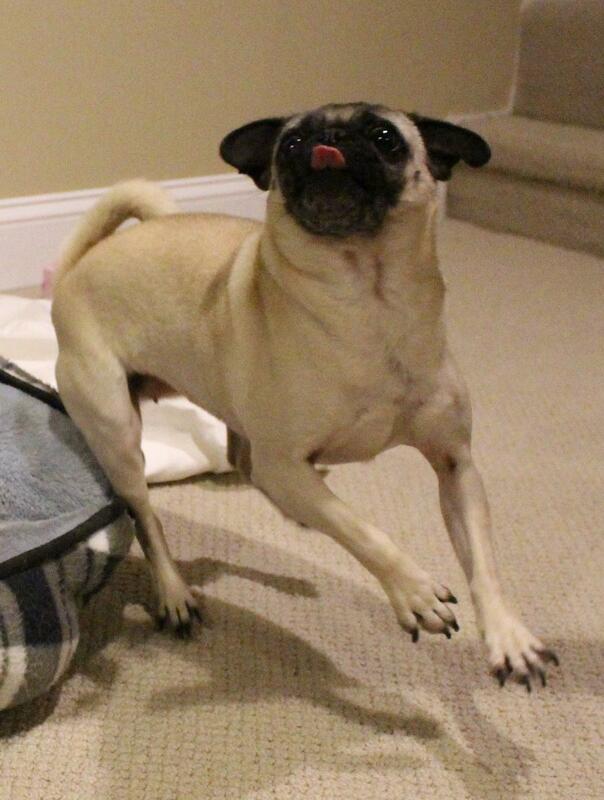 Playtime with your pug is one of the best times of the day. 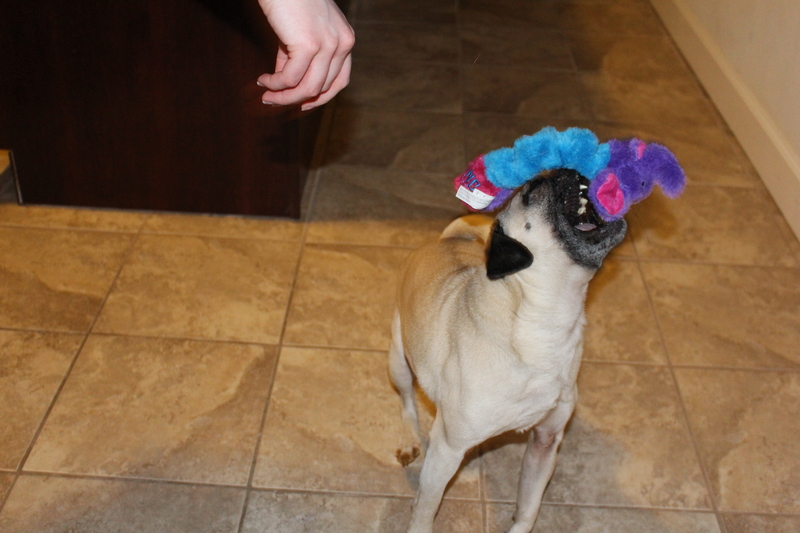 Their excitement is definitely contagious, and we were rooting for our pug Nickie to catch her panda toy every time. She missed a lot, but didn’t seem to mind. 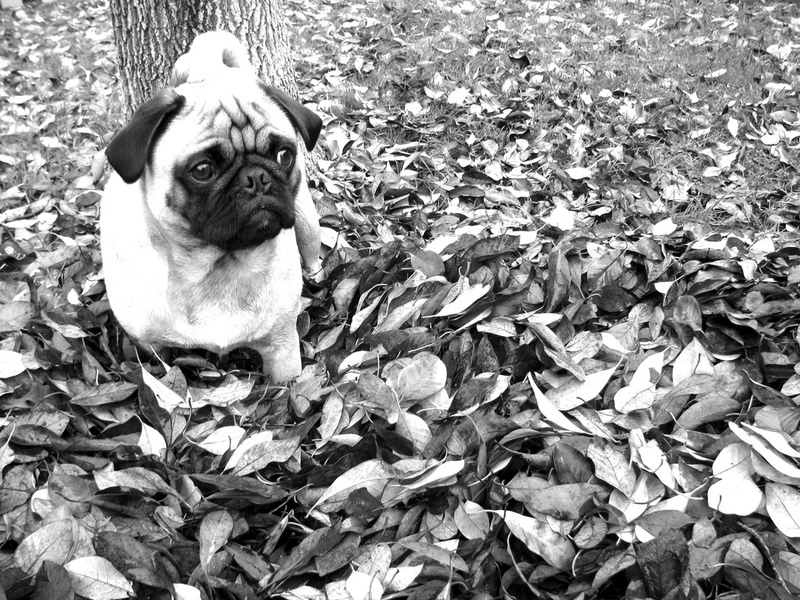 Here are some of our pug’s most determined playtime moments of the day, as well as moments of surprise when the panda evaded her grasp. There’s no better way to start a fantastic Saturday, than with some invigorating playtime after breakfast. (Nickie recognizes the value of the most important meal of the day and refuses to do anything until she has had her breakfast. She is definitely a good influence on us.) I think the octopus was surprised to be caught so easily.